Center for Social Initiatives (C.S.I.) Nadez will implement a 10 months project to raise awareness on the importance of education between Roma youth in Shuto Orizari. The beneficiaries will be 50 primary school students who study in the local school “Braka Ramiz and Hamid“. 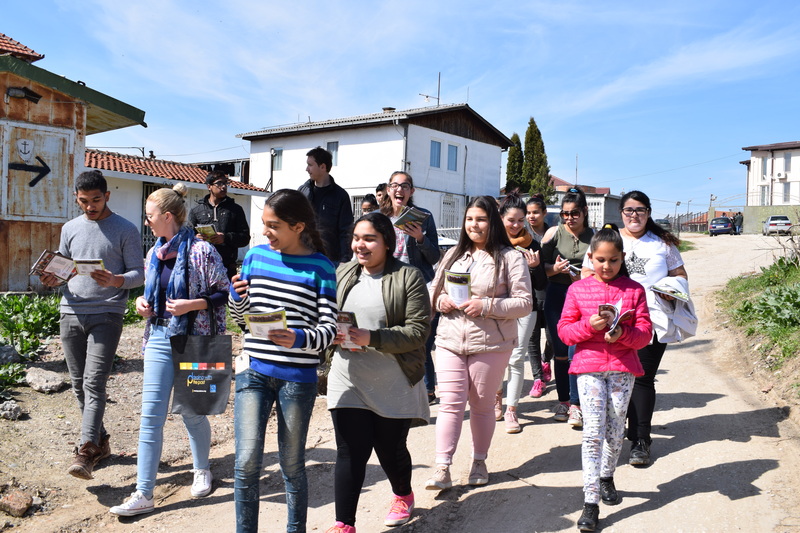 The goal of the project is to raise awareness of the importance of quality education among Roma youth living in the Shuto Orizari Municipality. All students from the project, will be members of the first Media club at C.S.I. Nadez. The Media club members will meet on a weekly basis and they will altogether produce an online and offline newspaper version that will be issued at the end of each month, containing media products from the project participants and their student fellows. Mentors of the media club will be the project educators. The project staff will offer the students wide range of thematic workshops on topics such as: non-violent communication, conflict resolution, staying safe on the Internet, smart usage of new media, etc. Each cycle will consist of three thematic workshops that will take place at C.S.I. Nadez and will be facilitated by the project educators. 50 primary school students who study in the local school “Braka Ramiz and Hamid“.